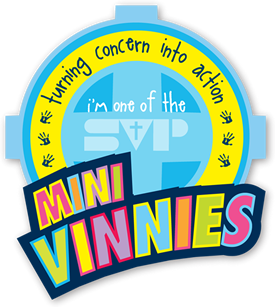 ‘Mini Vinnies’ is a St. Vincent de Paul Group in a Primary School. 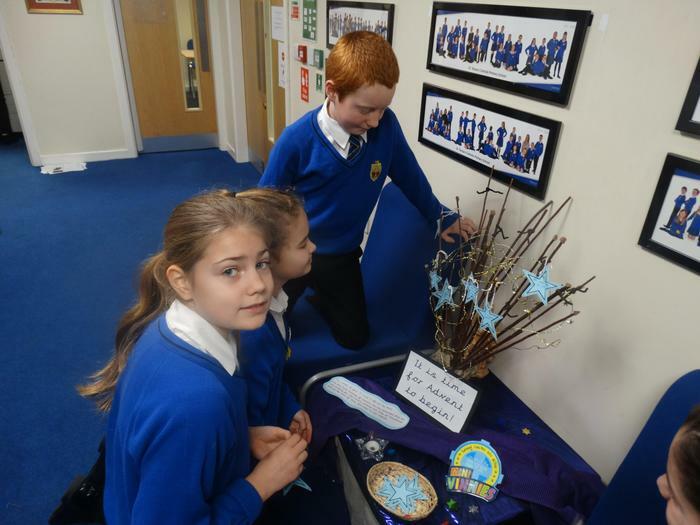 At St. Teresa’s we have a group of Year 6 pupils who get together to pray, and to organise and talk about helping others in need within our school community and beyond. What makes Mini Vinnies such a valuable experience for the children who are part of it, is the change it makes in our school community. We look to develop the prayer life of our school. Our Mini Vinnies group meet once a week during break-time. Our ‘President’ leads the meeting and organises the group. Mrs Holmes co-ordinates the group and gives help and practical advice. The President opens the meeting with a prayer. A short spiritual reading/reflection/piece of music/meditation follows. The Group members take turns to do this. The President concludes the meeting with a prayer. For more information about Mini Vinnies you can visit the national website on the following link. 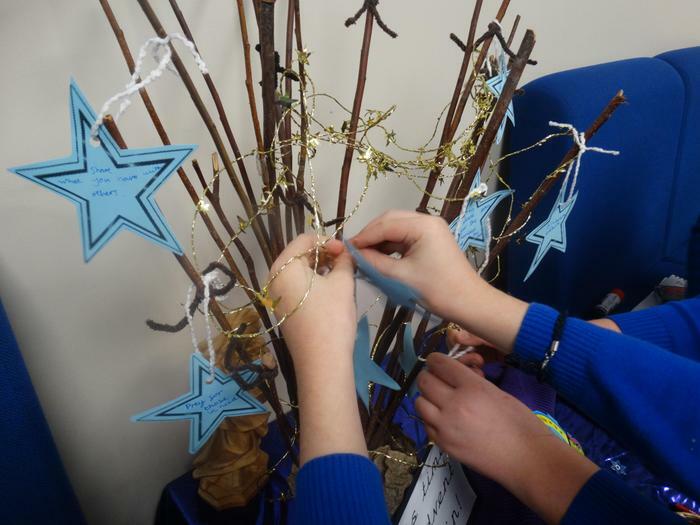 On Spirituality Day, we helped the teachers lead a range of wonderful activities and prayer spaces for the children to experience and reflect upon. We gathered together, we read scripture, we prayed and we focused purely on our spirituality. The prayer spaces included; Hopes and dreams, forgiveness, creation, love, charity across the world, kindness and Jesus, the light of the World. Each year, we support a very special charity called CAFOD! The Mini Vinnies group launched our Lenten Campaign this year with the help of a lady called Catherine from the CAFOD charity. The Mini Vinnies led an assembly and then the Year 5 children completed workshops. We have encouraged the children to give something up and then save up the money that they would usually spend. 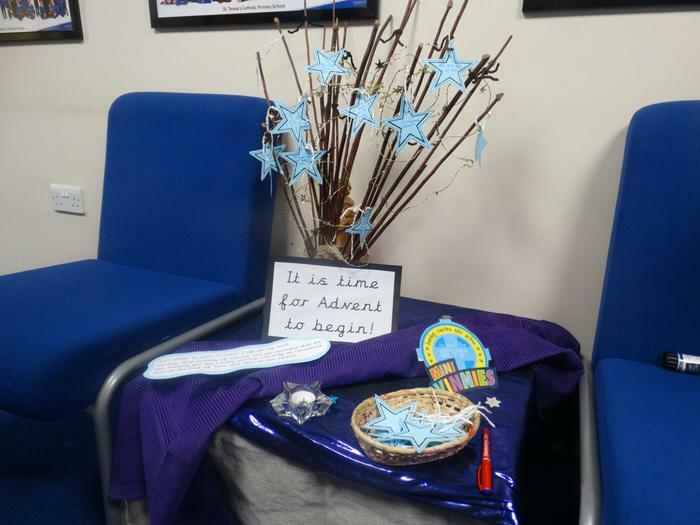 The children have created prayers and added these to our prayer well. We are aiming to raise £250. Our fundraising thermometer should help us to monitor our progress towards this figure. Have a little look at our photos. 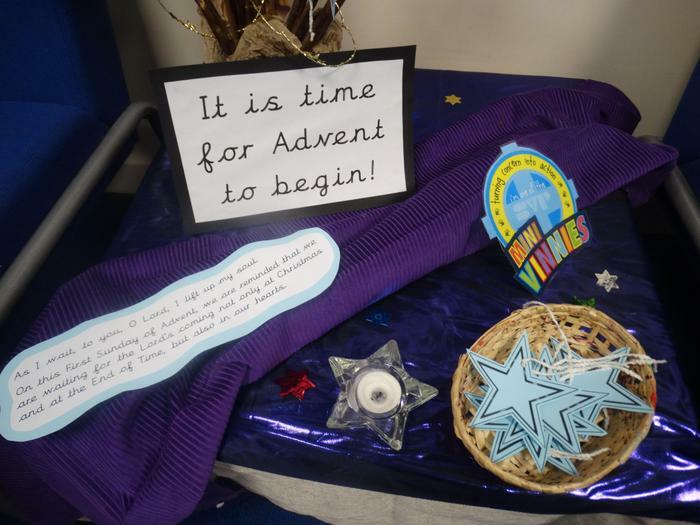 This Advent we are thinking about others in need. We have launched a food bank collection for local people in Preston . We have encouraged our children and families to think about people within our community who are less fortunate than ourselves. As I wait, to you, O Lord, I lift up my soul. During Advent, we are reminded that we are waiting for the Lord’s coming not only at Christmas and at the End of Time, but also in our hearts.